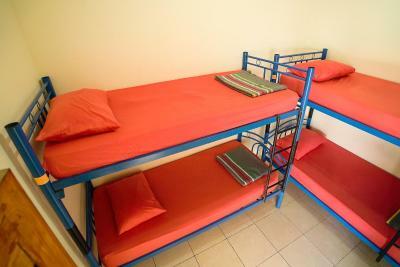 I loved the hostel! It was clean and it looks new. 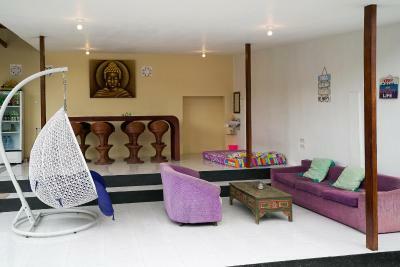 The common area was very relaxing, I even slept there when I needed rest from my West Nusa Penida trip. I wish I could've stayed longer. Oh and my breakfast was great! I really liked how my vegetable omelette was cooked! Was cheap, the location was ok if you hire a scooter, sociable place. Cheapest we could find on Nusa Penida (however, that isn't a case anymore). A lot of restrooms (Around 7?). The location is perfect, 5 min walk from the harbor. There's also an ATM and couple restaurants very close. If the hostel runs out of scooters they are some you can rent near the harbor. Really good place to stay. New place and really clean! Windows to the hall. Can rent Moto if you lucky (more chance in the morning). Good location - really close to boat port, and not so far from evening crowded bars. Just no beach near. 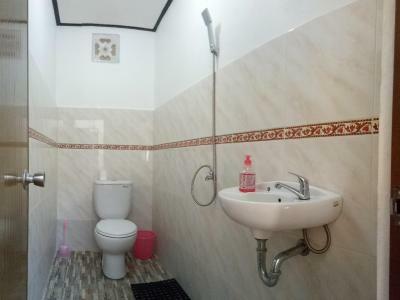 Featuring free WiFi, a Balinese garden, and a terrace, Hostel Nusa Penida offers accommodations in the central village of Nusa Penida, 8.1 mi from Peguyangan Waterfall. Guests can enjoy the on-site restaurant. Free private parking is available on site. Guests can explore the nearby market and shops. There is a tour desk at the property. 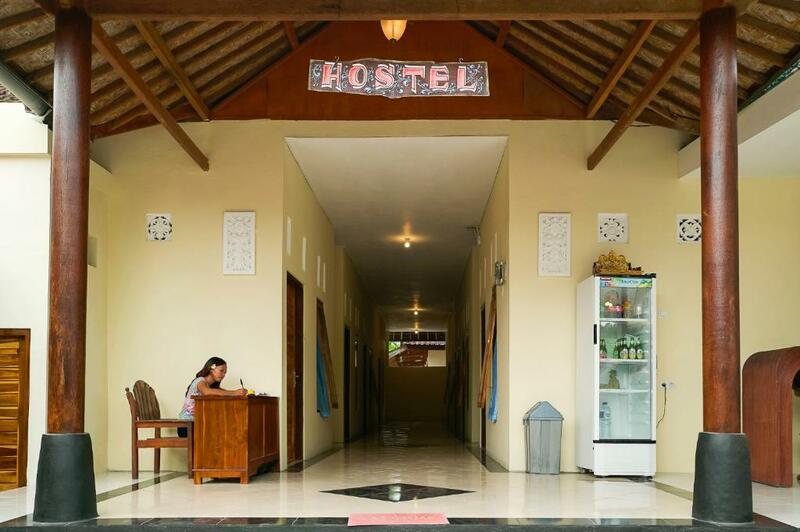 Hostel Nusa Penida is 5 minutes' walk from snorkeling center. 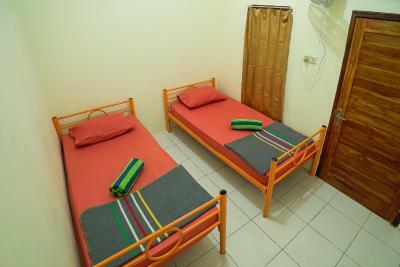 Car hire is available at this hostel and the area is popular for diving. 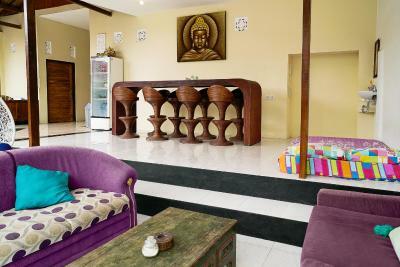 The nearest airport is Ngurah Rai International Airport, 27 mi from the property. 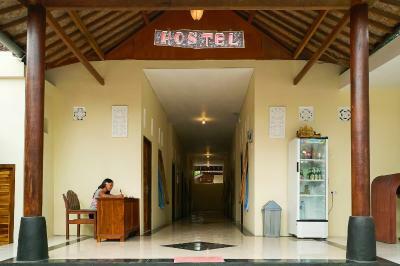 When would you like to stay at Hostel Nusa Penida? 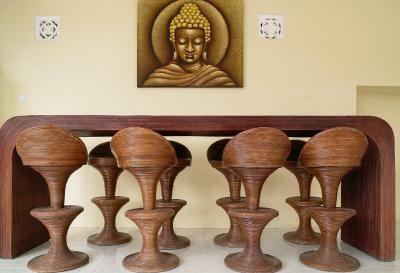 House Rules Hostel Nusa Penida takes special requests – add in the next step! Please inform Hostel Nusa Penida of your expected arrival time in advance. You can use the Special Requests box when booking, or contact the property directly using the contact details in your confirmation. Tiny rooms, one fan not enough!!!!! Basically it just reached one out of four beds. Hard to find as no sign at street. Took us ages to find it. There was an foreign woman probably like a manager and she was really rude to the stuff in front of guests! The staff does what they can and seeing them treaten like that is not nice! Please notice! If you get simple room there, they don't give towels! Pls do not let the dog prowl around the hostel to keep the comfort of the guests. The receptionist, Ami is the friendly staff. She always make sure all guests are ok and meet they requirement. Location is ok, around 50 meter from the main road so we can sleep tight without any noise of the road. The thing I like most when staying here is about their lobby. They put some matrass and pillow for the more comfortable and the house full of trees. Very recommended to stay here! A lot of things i dont like. I think theres a lot of place that better and more cleaner! This hotel is pleasant place. Staff is friendly and helpful. Such a serene clean and tidy place. There is a lot of small market and interesting places around this Hotel. Good location and service, clean accommodation, tasty breakfast. Will definitely come back. Good balance of cost and comfortabe. I think, that this place quite fit for familly relax. Couldn’t find the hostel. No signs on the street. The taxi driver took us to another hostel and it took us about hour to find it.